Can I reuse drive plates? I just picked up six of these for 19.99 on eBay. Obviously the crank must be pulled to remove the front mount. Can I reuse the old drive plate? These things are essentially brand new. Why are there only five in the photo? Number six is on the test bench. Ran smooth mid 15's with a gray cox 5x3 and 20% o'donell fuel mixed 8.5:1 with pure castor. Re: Can I reuse drive plates? Yes, you can put them back on after you pull them. I try to get the splines in the original grooves. You can do it by feel and slightly press the plate on by hand before you tighten it down. If you don't have one of those threaded studs, a prop screw can be used. 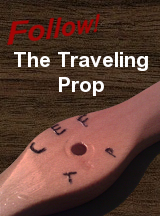 If the screw is too long, a couple of old props, or a prop and some washers can be used to tighten it all the way on. 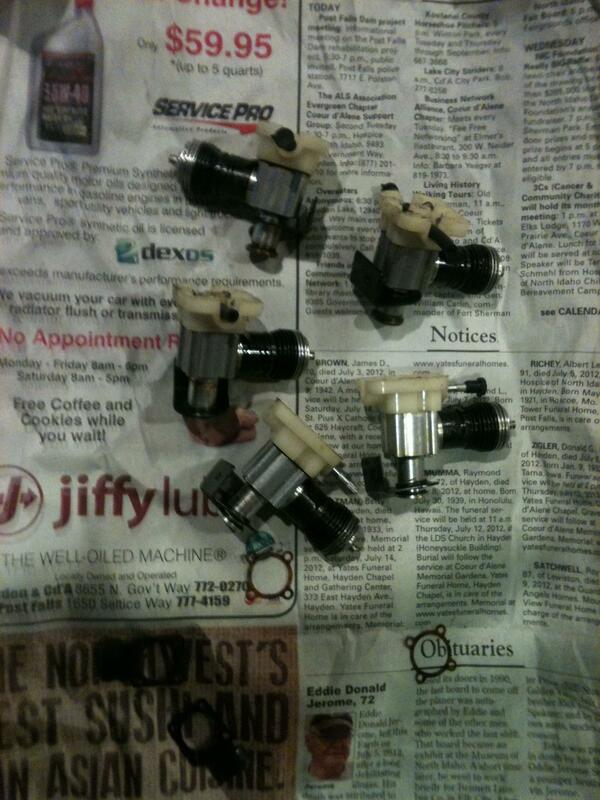 I disassembled a crankcase to clean it. I then reassembled it and now I noticed the spinner wobbles slightly. I put it on a block and tapped on the the back of the crank using a hammer and punch to make sure it was on all the way, but no joy. What can I do? Will removing the drive and re-indexing help? SkyStreak wrote: I disassembled a crankcase to clean it. I then reassembled it and now I noticed the spinner wobbles slightly. I put it on a block and tapped on the the back of the crank using a hammer and punch to make sure it was on all the way, but no joy. What "Fred said".. plus some additional food for thought.. The steel crank-shaft is "splined". The aluminum drive-washer/plate is aluminum. Splines get "cut-into" this drive-washer by the steel crankshaft when the engine is first-assembled. It's important when re-building, to index the splines to engage properly. Try to feel the grooves engaging by first; rotating the aluminum drive-washer on the end of the splined steel crankshaft. If the washer doesn't seat firmly, you may need to install a different (or new) drive-washer. 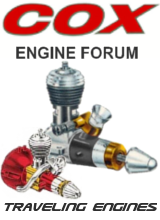 The Cox-Engine parts-vendors advertised here on the forum, sell them. 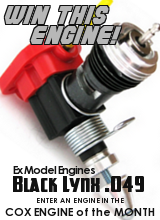 Obtain a 5-40 allen screw and 5-40 nut. Place a washer equal to or larger on the drive washer and while holding the screw with the allen wrench back the nut onto the drive washer. It will properly square the drive washer to the crank. Ken Cook wrote: Obtain a 5-40 allen screw and 5-40 nut. Place a washer equal to or larger on the drive washer and while holding the screw with the allen wrench back the nut onto the drive washer. It will properly square the drive washer to the crank. Wow. Great and simple idea. Thanks for sharing that tip. I used the 'tap and pray' method or screw on a prop till now. I will definately be using this from now on. This time I marked the plate before removing it, so I had a reference. I pulled the drive plate back off. I then rotated, spline by spline until I found a spot where it seemed to slide on the furthest with little pressure. The mark I put on, was almost 180 deg from where I started. I used a prop and the spinner and screw to push it on. It looks pretty good now. I haven't ran it yet but I spun it. The spinner wobble seems to be gone and the prop blades tract ok.